Microsoft wanted to reach their existing time-poor enterprise customers and communicate the business benefits of Windows Pro tablets and how they could help productivity. As an incentive, Microsoft offered enterprise customers a US$50 rebate towards the purchase of any approved Windows 8 Pro or 8.1 Pro tablets. 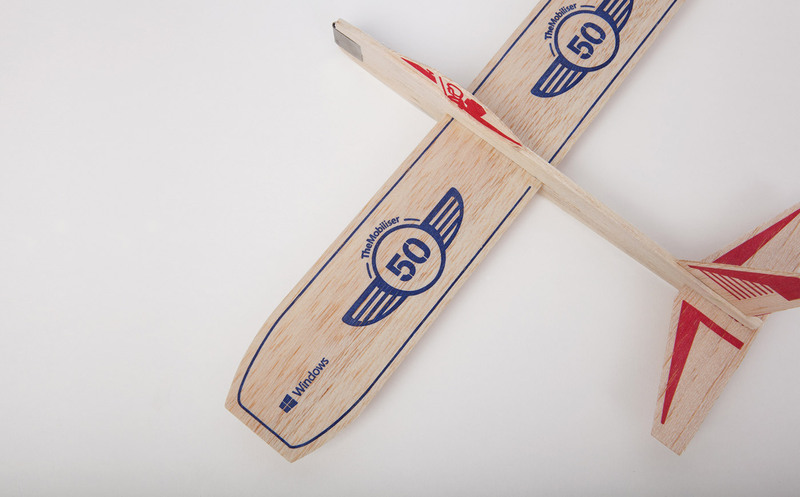 Against a tight budget Microsoft wanted a solution with more impact than a DL flyer. Communicating how Windows Pro tablets could help staff be mobile and productive wherever they were was key to making the campaign a success. We also had to make it easy for customers to connect with sales reps so they could be sold the benefits of Windows Pro tablets and instructed on how to redeem their rebate. 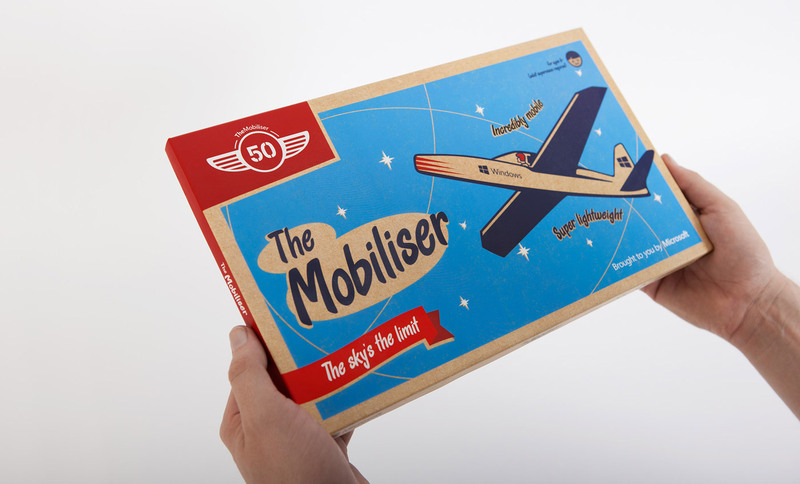 We created a low-cost, high-impact DM that helped recipients ‘GetMobile’ in a fun way. 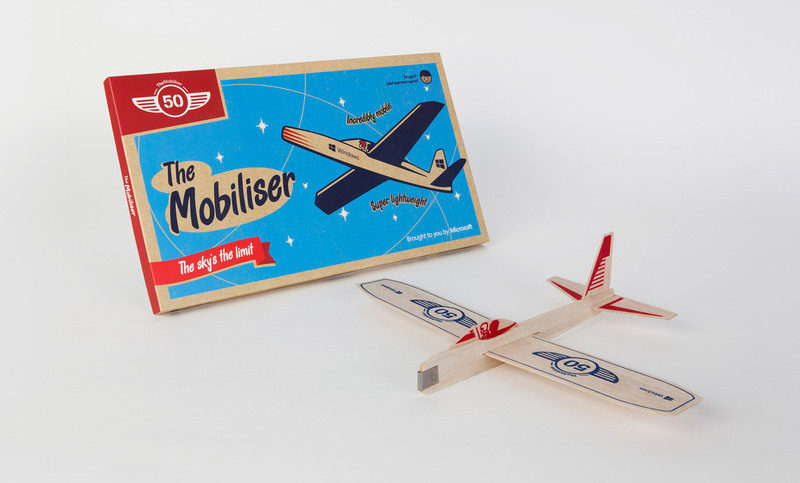 Our 1950’s style balsa wood plane kit could be assembled quickly then flown around the office. 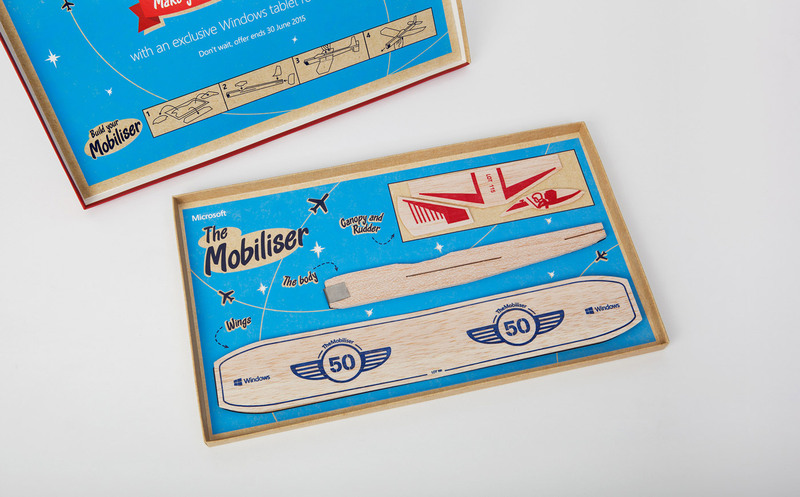 Light and flat, the retro style package could be mailed at a large letter rate, reducing the costs of the promotion. 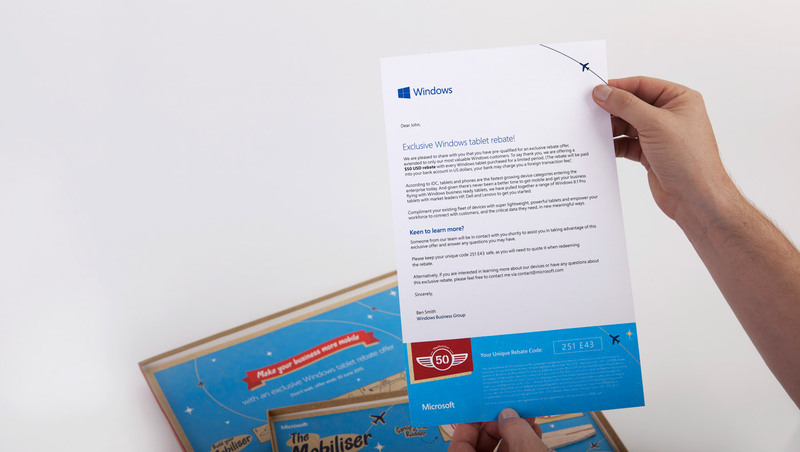 The plane arrived with a letter that included key product information and a unique redemption code. Recipients were encouraged to visit a landing page with more information. The kit was followed up with a call to confirm their interest and book a meeting with a sales rep.
We received very positive feedback from the Microsoft team and are waiting for them to compile the results.